The Bombardier CL-600-2B19 Regional Jet CRJ-200 is a twin-engine regional jet airliner for 2 crewmembers and up to 52 passengers. Development of the CL-600 Challenger family started in 1974, when Bill Lear designed the LearStar 600, a 12-place business jet. Canadair bought the manufacturing rights in 1976, and renamed the design Canadair CL-600 Challenger. The first prototype of the airplane flew on 8 November 1978. The second and third prototypes flew in March and July 1979. On 3 April 1980, a test flight with the first prototype above the Mojave Desert ended in a disaster, with the airplane crashing due to a deep stall. In August 1980, certification was granted with temporary restrictions. Deliveries of the CL-600, powered by two Lycoming ALF-502L turbofans started in 1981. The design was developed further and in 1984 Canadair studied about a stretched airliner based on the CL-600. After Bombardier Aerospace bought Canadair in 1986, design studies for a stretched airliner version of the Bombardier Challenger family of business jets started again in 1987. This design study resulted in the Canadair Regional Jet program. The first of three development aircraft flew on 10 May 1991 and customer deliveries of the CRJ-100, equipped with two General Electric CF-34-3A1 engines, started in October 1992. The CRJ-200 series of the Canadair Regional Jet is powered by two General Electric CF-34-3B1 engines and entered production in 1995. 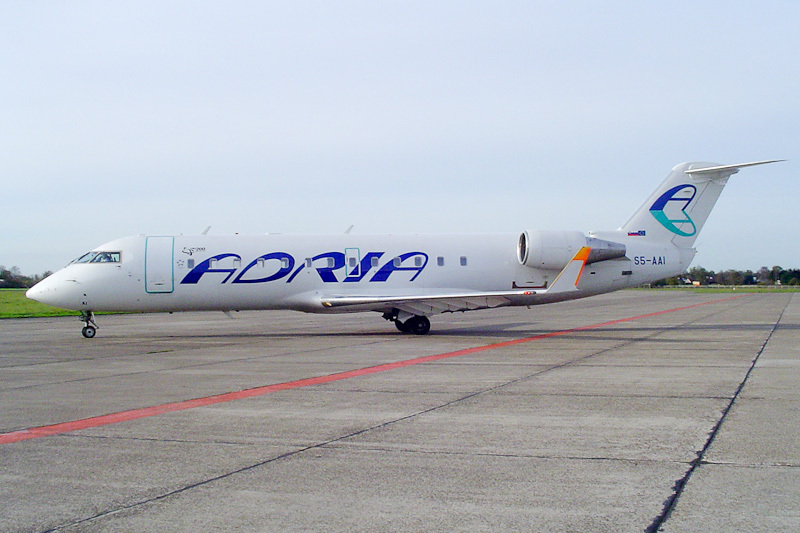 On 14 November 2005, Bombardier CL.600-2B19 Regional Jet CRJ-200 c/n 7248 S5-AAI of Adria Airways, was photographed at Groningen Airport Eelde in the Netherlands.